It was Coastal Survival’s 10 year anniversary at the weekend and the event was celebrated by inviting the Bushmoot community to a day of workshops and walks including the popular coastal foraging. 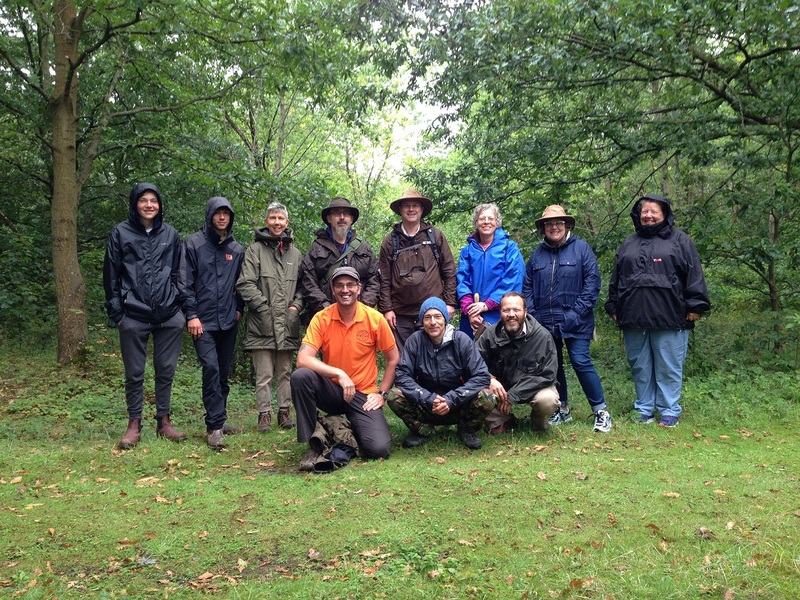 To kick off, Fraser took a group of foragers out onto the sandy dunes at Merthyr Mawr. The eager group were shown some of the wild edibles that were bursting with life after the recent downpours. Here are just some of the delights we found. Dewberrys love the sand and ramble all over the miles of dunes. 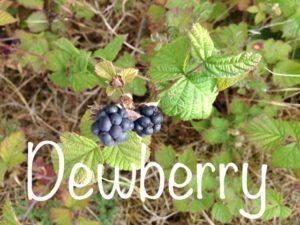 They look very similar to blackberries and are related, but have a frosty dew-like covering and a slightly sharper taste. 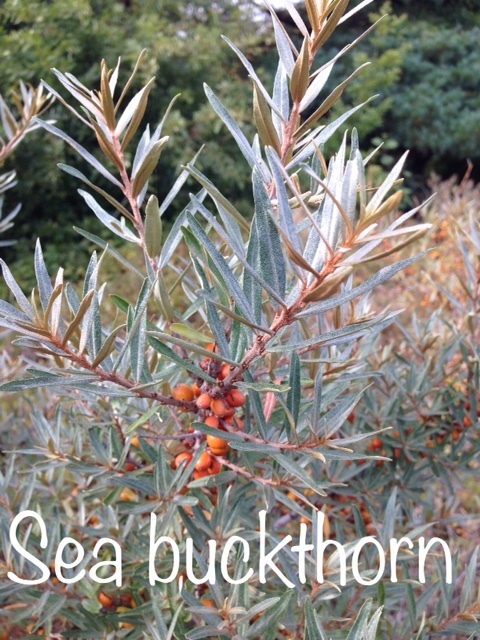 Sea Buckthorn is abundant on this stretch of coast and the little orange berries are packed with vitamins and antioxidants. 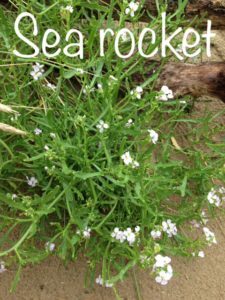 Sea rocket has fleshy leaves and a mustard / rocket flavour. 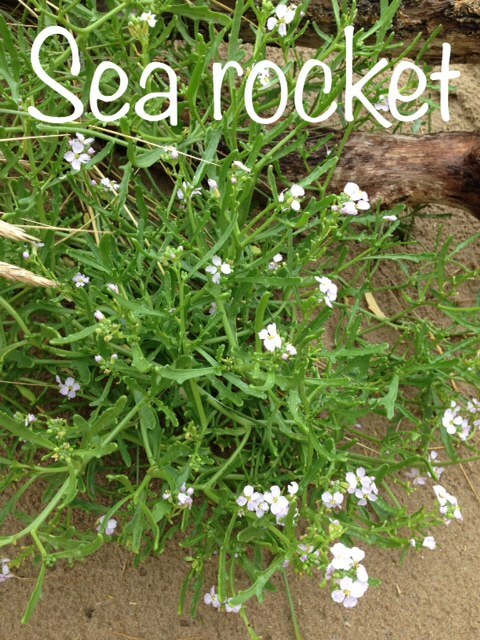 It was found growing at the edge of the dunes closest to the sea. 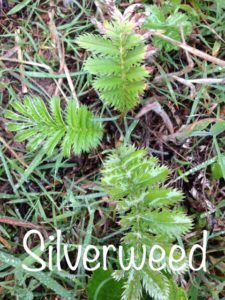 Silverweed, with it’s distinctive feathery leaves has edible roots and the leaves have historically been used to line shoes. 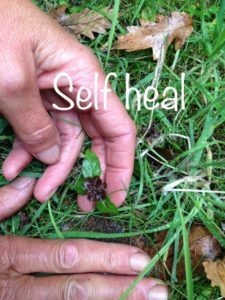 Self heal is an amazing little plant and has a blue / mauve flower. It is well known for it’s use in herbal medicine and has been used by people from the Cherokee to the Chinese. 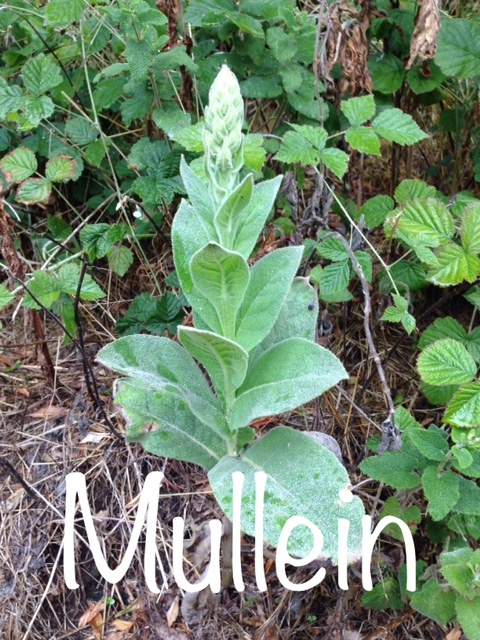 Mullein is easy to identify with it’s soft furry leaves and upright flower stalk. The leaves can be used to relieve lung complaints either in a tea or smoked. The stem has been used as a bow drill spindle. 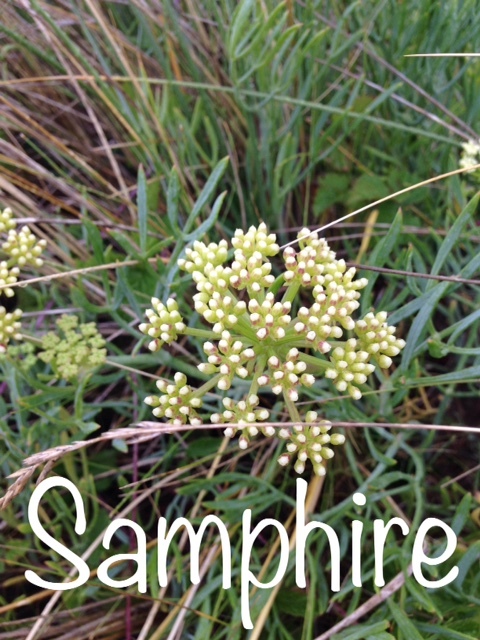 Rock Samphire is a perennial plant prized by chefs for it’s delicious lemony / fennel taste and goes well with seafood. The flowers and fleshy leaves can be pickled, cooked or eaten fresh. 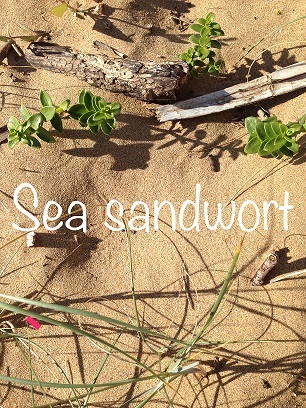 Sea sandwort looks very much like a succulent and was carpeting the ground down near the estuary. 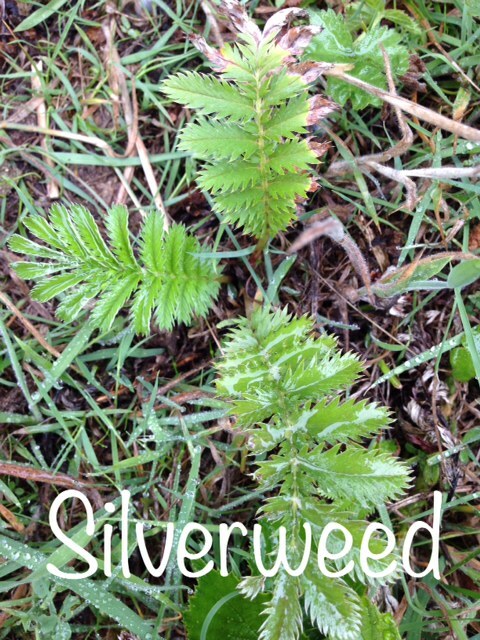 Young shoots are rich in vitamin C and the seeds are also edible. 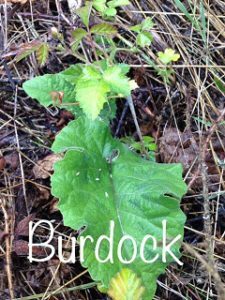 Burdock, a biennial known for it’s edible root was peeping up out of the grass. This plant sets seed in the second year then dies and the root is often used in drinks. Merthyr Mawr is an incredible place for foraging and there are always new plants to be discovered! blog, Bushmoot, Coastal foraging, Coastal Survival. Bookmark.